Anthony is a multi award-nominated choreographer based in London. After a successful career as a West End performer, he is highly skilled in the creation of narrative-driven movement, and is a keen developer of new musical theatre writing. Anthony is currently choreographer on the European premiere of Little Miss Sunshine (Arcola Theatre & UK Tour) for Selladoor Worldwide. Other choreography credits include: Camelot (London Palladium); Priscilla Queen of the Desert (Arts Educational); Mack and Mabel (Hackney Empire); Imaginary (NYMT/The Other Palace); Cinderella (Chelmsford Theatre); Fanatical (Playground); The Rat Pack Live & The Blues Brothers Live (Edinburgh Fringe Festival); My Fair Lady (St George’s Hall, Liverpool); StageBox Music Video (YouTube); Dance Overture (New Wimbledon); Crazy For You (Stratford Circus); Fiddler on the Roof (Istanbul - Janet Bozdag Award 2018); The Adventures of Pinocchio (Ambassador's Theatre); Bring It On, Sister Act, Cinderella (Beck Theatre); Alice in Wonderland (Italian Tour); Wizard Of Oz (Italian Tour); Legally Blonde (Upstairs at the Gatehouse - nominated for Best Choreographer, Off West End Awards 2016); Side By Side By Sondheim (Brockley Jack Theatre); The White Feather (Union Theatre); Bye Bye Birdie (Rose & Crown - nominated for Best Choreographer, Off West End Awards & Broadway World Awards 2015); Spring Awakening (Lawrence Hall); In the Dead of Night (Landor - nominated for Best Choreographer, Off West End Awards 2016); Bel Ami (World Premier - Charing Cross); Ordinary Days (Ealing Studio Theatre); Something Old, Something New (Bernie Grant Arts Centre). Anthony is also a dance educator and lecturer, having taught at many conservertoires in the UK including London Studio Centre, Bird College, Guildford School of Acting, MTA and London College of Music. 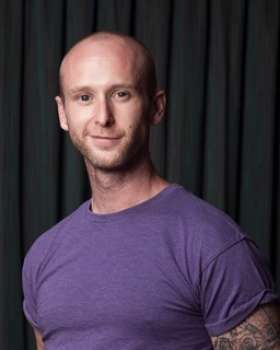 Anthony has freelanced as a tap coach for Billy Elliot - The Musical and was the choreographic mentor on the Perfect Pitch production Danny Hero. Anthony judges at dance events and competitions internationally, including the ISTD "All Star Tap Awards” in 2016 & 2017.